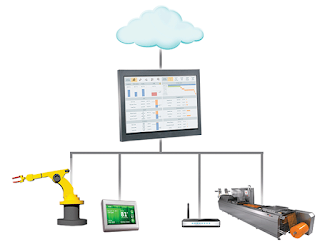 Last blog, Top 5 trends that currently drive the need of the modern industrial HMI application, covered the trends pushing the limits of operations teams, often resulting in interruptions and inefficiencies in the process due to human error. 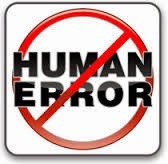 This post summarizes the impact of human error in Industrial Operations. According to a recent white paper, “Situational Awareness: The Next Leap in Industrial Human Machine Interface Design, these “errors, or mistakes, account for 42% of abnormal situations in industrial systems. These abnormal situations have a direct correlation to economic losses and safety concerns. Abnormal situations in industrial processes directly result in economic loss due to a total or partial loss of the system availability, a reduced efficiency of the industrial process, or a reduced quality of the resulting product or service. Studies indicate that loss of system availability costs industrial systems 3-8 percent of capacity. In many industrial processes there is significant potential for bodily injury or loss of life. There are multiple factors to consider for the overall system safety including, but not limited to, alarm management, control loop performance and the HMI design. In this document we will limit the discussion to the HMI aspects of safety while recognizing it is a much broader topic. In the investigation of many industrial accidents the HMI design has been cited as a contributing cause.One of the most common ways that HMIs communicate potential safety issues is through alarm notifications. However, in a recent survey of industrial systems users, nearly 70 percent of respondents indicated that alarm overload impacts their ability to properly operate the production process.3 The techniques for alarm communication that are commonly employed in HMI design do a poor job of facilitating an operator to quickly assess the severity of many alarms and decide on the appropriate action. Without an improvement in how this critical information is being communicated and processed, the overall safety of the system is being compromised. 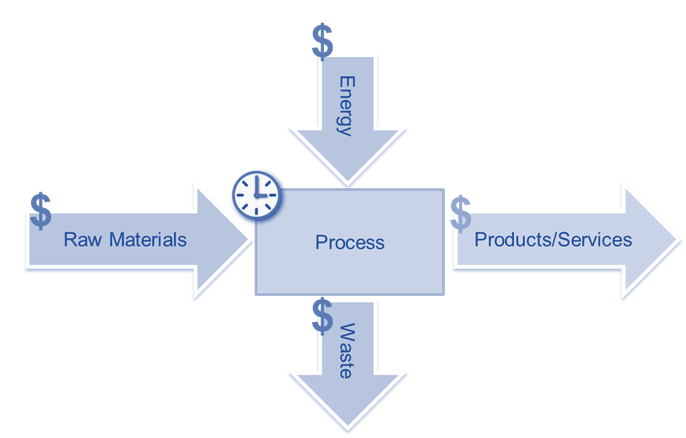 In just about any industrial process there is a simple model than can be used to describe the business value of the process as depicted in the Figure below. While many processes vary in terms of the product or service they produce, just about any process has raw material and energy inputs and product/service and waste outputs. The key goal for the process itself is to maximize its availability while minimizing the costs (raw materials, energy, and waste) and maximizing the quality and quantity of the products and/or services provided by the process. Unfortunately however, the HMIs that are used to operate most of the industrial processes in the world were designed with the main purpose of achieving or maintaining a certain operational state rather than optimizing the performance of the business. In order to best drive the business value of these systems the design of the system must take the business values into account.